As this post is going up, I will be on holiday (fingers crossed that my wifi is good) Also I hope my dad doesn’t see this because there are some personalised bits in here! 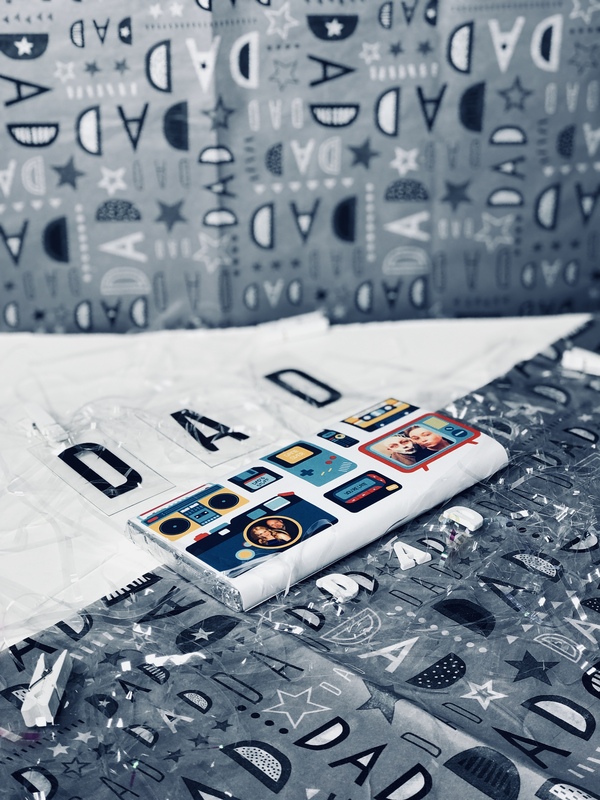 Welcome back to another post and if you have clicked on this post, then I am guessing that you might need a little help with what to get your dad for father’s day. With this post I am also collaborating with Personalised Parties * because as some of you may know 1) I love anything personalised and 2) this brand is amazing. I love their Father’s Day ranges this year, they are perfect. 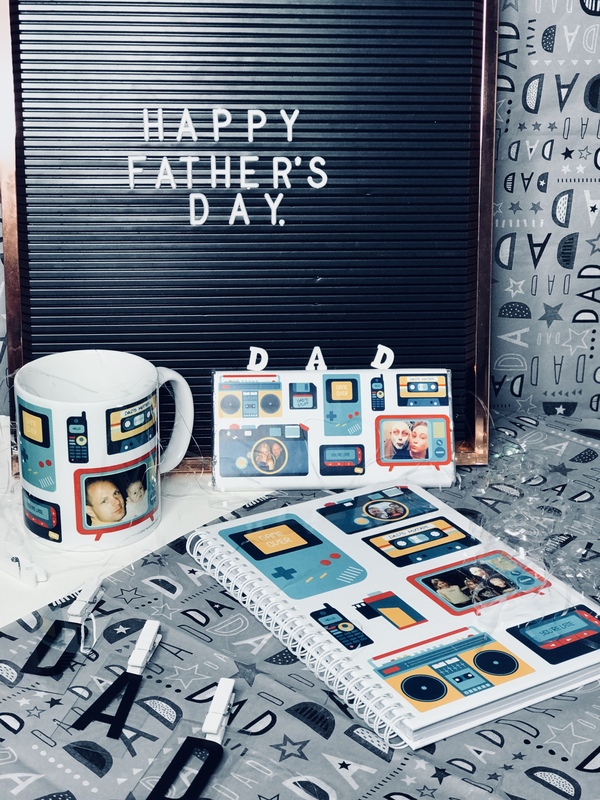 They have three Father’s Day collections, you are GOING to want to click here to check them out, I’m sure you will find something that your dad will love. I got some bits from the Retro collection because I liked the amount of images that you could add. 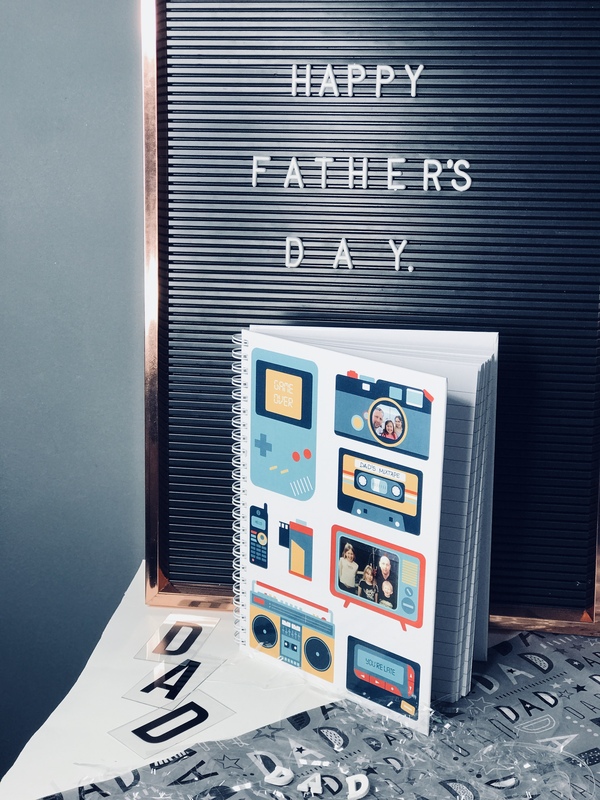 The Personalised Retro Tech Notepad is something that my dad will love because notebooks always come in handy, especially because of what he does for his job. I LOVE THAT YOU CAN PERSONALISE THIS, it is such a different thing to be able to personalise. normally with notepads you can add words etc.. but I have never seen pictures on a notebook. I added two pictures onto this notebook and I think my dad is going to love it. It is lined inside aswell which is good! This Notepad retails for £7.99 which I think is a great price to pay, considering you can personalise it and write a message on the back. 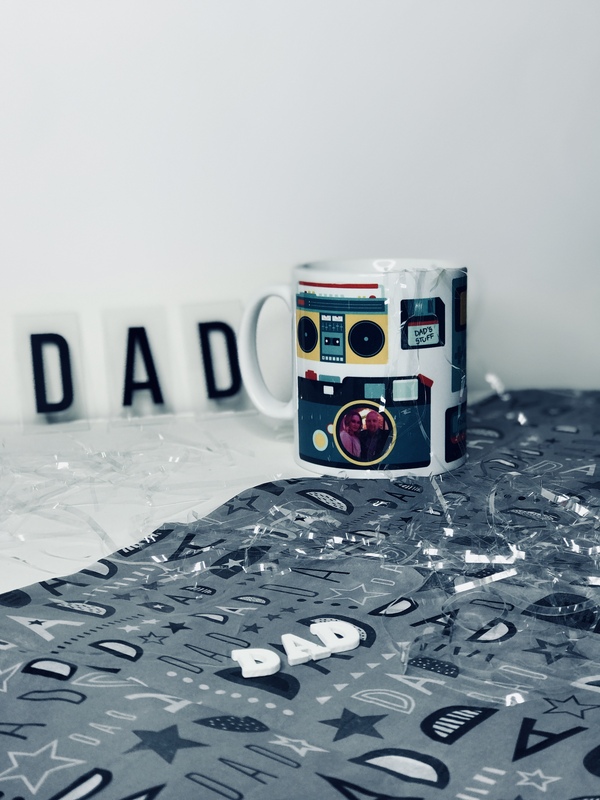 The Retro Tech Dad Ceramic Mug is so so so cute! I know that my dad will use this mug a lot. I have two pictures on this mug one of me and my dad at the age I am now and another picture of me as a baby. < you have seen baby Sophia lol. 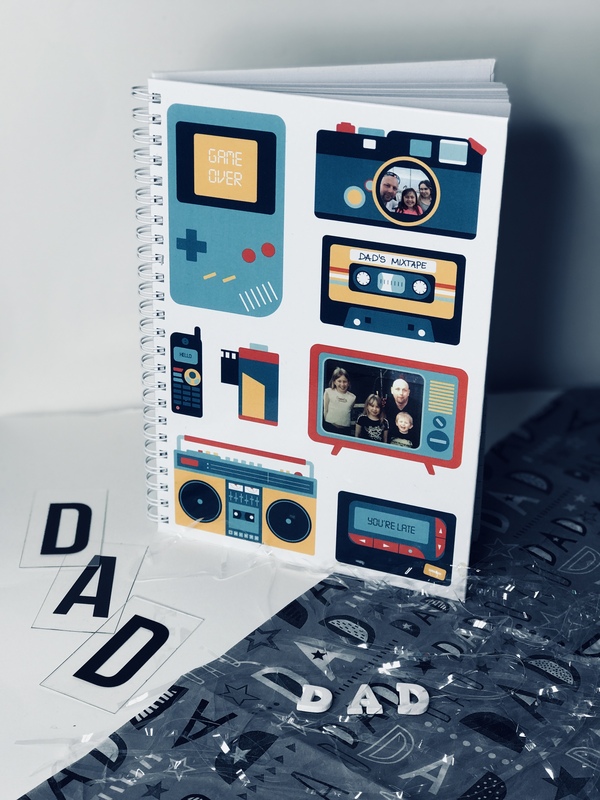 I think this personalised is something that your dad would love for Father’s Day as it is something that he might always use. This mug retails for £7.99, once again perfect price. The Retro Tech Chocolate Bar is GENIUS! I have NEVER seen a personalised chocolate bar before and I couldn’t think of anything better. I know my dad will love this because let’a face it, who doesn’t love chocolate?! and it is personalised can I just say. There are two pictures of me and my dad on this and, yes that is correct the picture on the right is myself and my dad wearing a face mask. By any chance of my dad seeing this post, I hope you don’t mind dad 🙂 haha. This retails for £5.99 which is an absolute bargain! It is such a good price because you are getting great quality chocolate with personalised wrapping, you can’t go wrong! 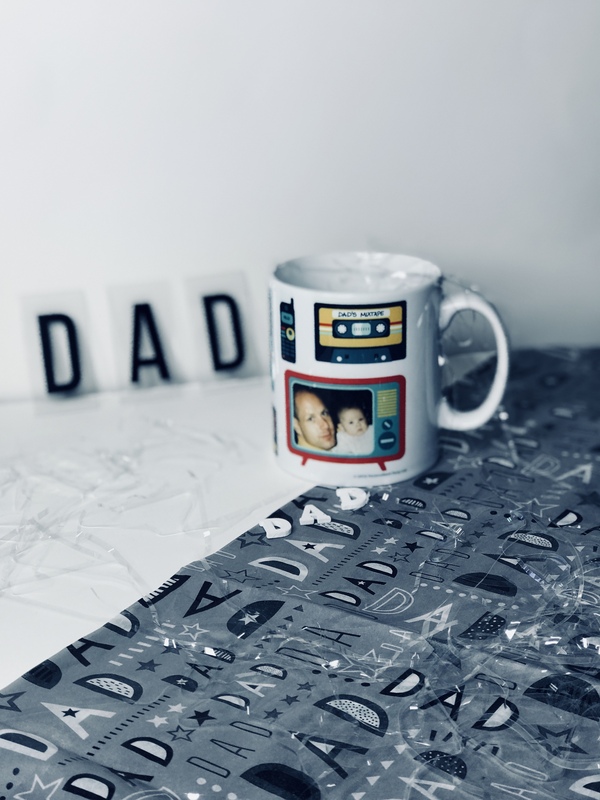 I love this brand a lot because they have a great selection of Father’s Day gifts and a lot of them are personalised. 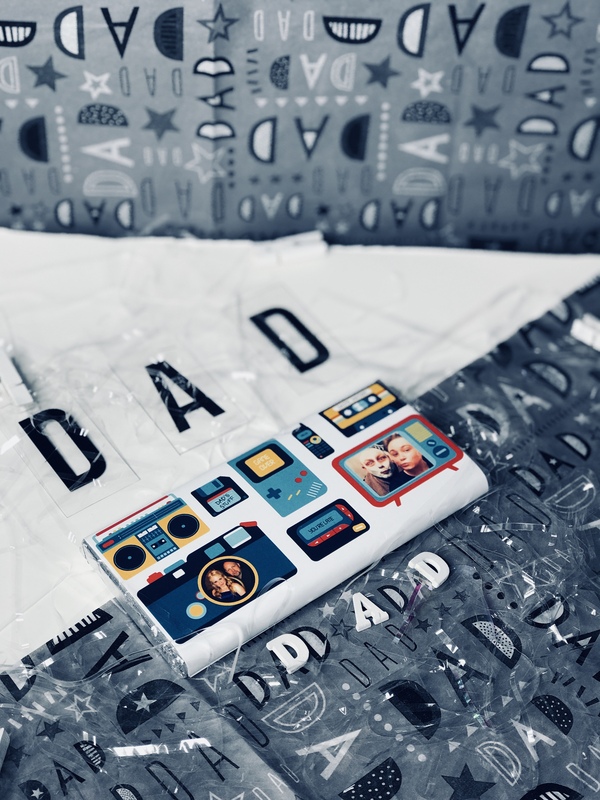 I love personalised items because it makes the gift more personal, I will always try and get people personalised gifts because it means more. Personalised Parties have a lot of products at such a reasonable price, which I think is amazing. I have worked with this brand before and they have great service, amazing quality products and all products are super affordable! I think my dad will be so happy with these gifts because they are things that he will use. The notepad is definitely going to come in handy, because when don’t you need a notebook? 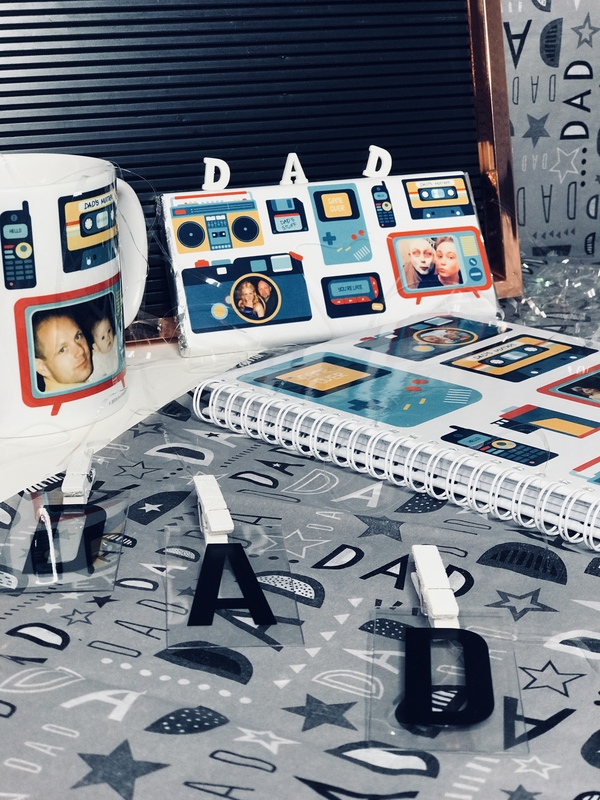 I love that you can personalise a lot of the gifts because you can even make it funny and add some really embarrassing pictures of your dad, stick it onto a mug and he has to live with that haha. I am obviously going to get my dad other presents, but these make great add on presents and I know that he will love them. What do you like the look of the most? Next Post University taught me.. I love that mug! My dad would use that all the time, I love how personal it is!! I love it too! I think it is awesome! What lovely ideas and a lucky dad who will love whatever you give him I’m sure. I would just settle for my children calling me on fathers day but since they don’t even acknowledge my birthday that is unlikely.